Amazon has long been a favourite of the online shopping crowd, and it’s a site that’s evolved as the buying habits of its many customers have changed over time, whether that’s shifting from selling CDs to selling MP3s or from books to ebooks. It’s also often been a worthwhile destination for Australian buyers whether you’re searching for an elusive item not readily available on our shores, or simply looking for a bargain. The pain point with bargains from Amazon has long been the shipping cost, but there was one area where that didn’t apply, and that was eBooks. 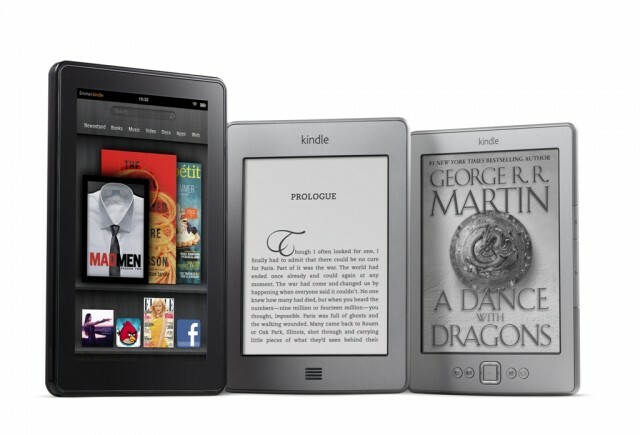 Amazon’s the big name in eBooks thanks to its early investment in its Kindle line of eBook readers. Up until very recently if you bought a Kindle, the books you purchased came from the US Kindle store, converted into Australian dollars with just a few title differences, such as not offering public domain free texts the only limitation. If by chance you typed in amazon.com.au into your browser, you got diverted to the US store anyway. That’s changed, though, with Amazon making a more aggressive push into the Australian eBook marketplace. Amazon.com.au now has its own domain, but unlike the main US site (or its many subsidiary sites), you can’t buy books or DVDs there; just Kindle-related eBooks at direct Australian prices. Amazon’s claim is that it has many exclusives and will focus on Australian authors to a level it had not done so before. If you buy a Kindle (or the newer tablets, the Kindle Fire HDX 7 and 8.9 inch in Australia, you’ll automatically be assumed to be in Australia and sent to that store for pricing information. That presents a problem, because not all book prices are the same across all Kindle stores. It does depend on what you’re looking for; one examination found a few genuinely higher prices while another found a mix of high and low prices (How Do Amazon’s Australian Kindle Book Prices Compare?). That’s probably not Amazon’s fault, even though it might seem like it. There’s no shortage of other Australian eBook vendors — iBooks, Kobo, QBD, Sony — and by and large, they tend to offer the same prices across the board. Amazon’s just another player in this local market, and the prices are generally set by the local publishers, which is why they’re cheaper overseas; it’s a different market. Except, of course, it isn’t, and this is where you really should use the exact same market force that made Amazon an attractive proposition for buyers of physical goods for all those years. Amazon allows you to change the Kindle store of your choice at will — all you need is a valid address in the country of your choice — and that allows you to shop around at will. As a writer, I don’t doubt that writing takes time, blood, sweat and a few tears, and that should be rewarded. As a technology writer, I’m well aware that an eBook is just a collection of ones and zeroes, whether you’re getting it from the US or the “local” Amazon Kindle store.